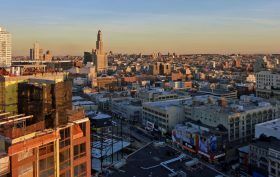 Once enticing New Yorkers with their cheaper rents and mortgages, the outer boroughs of Brooklyn and Queens have set record sales prices during the first quarter of the year. As reported by Crain’s, Brooklyn had a record-setting median sale price of $770,000, more than 16 percent higher than last year. This was driven by an increase in sales activity, with nearly 50 percent more transactions taking place this quarter compared with the beginning of 2016. In Queens, the median sale price was $485,000, but one- to three-family homes set a new record with both average ($697,946) and median ($650,000) sales. Market reports are in from the third quarter of this year, and sales numbers are setting new records, especially in Brooklyn and Queens. From Douglas Elliman, numbers show sales prices in Brooklyn and Queens climbing for the fourth year in a row across the board for condos, co-ops and one- to three-family homes, as well as luxury properties (defined as the upper 10 percent of the market). The median sales price rose 8.7 percent to $735,000; the average sales price went up 14.8 percent to $983,511; the median sales price for luxury properties rose 23.5 percent to $2.5 million. All three numbers represent record increases. The rising market has likely been the result of a healthy job market in New York City and population growth that’s five years ahead of schedule.